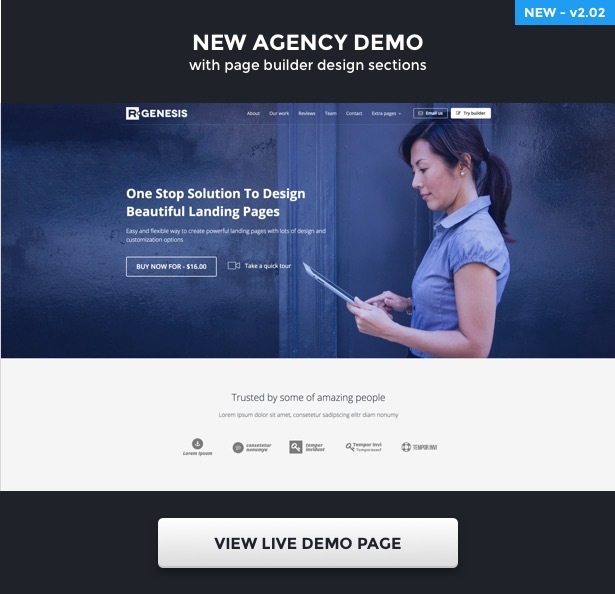 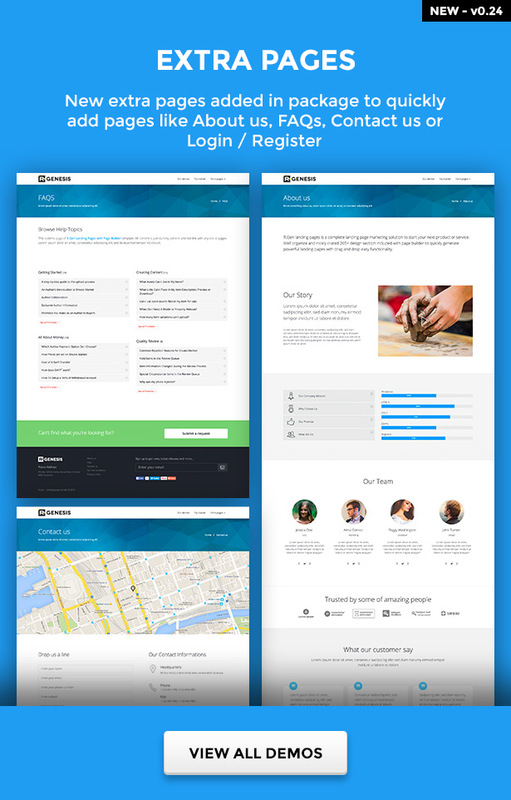 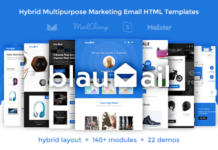 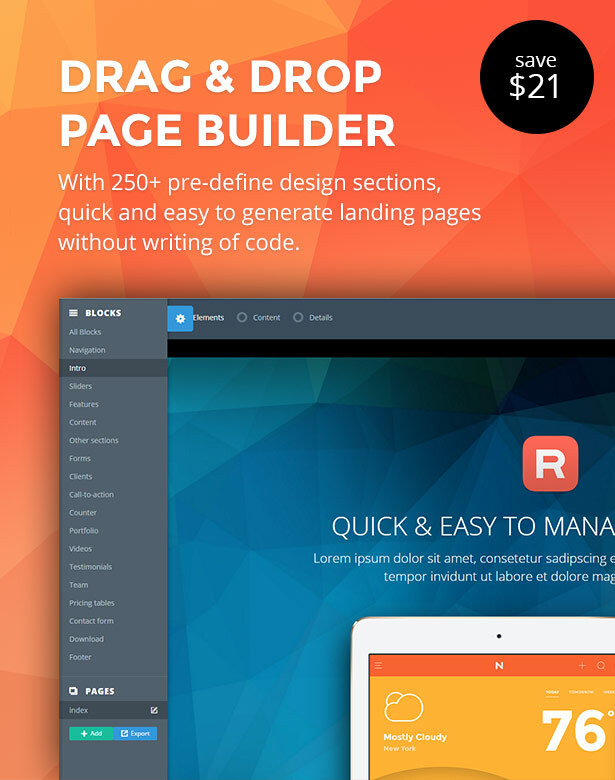 RGen Landing Page is a collection of multipurpose marketing pages. 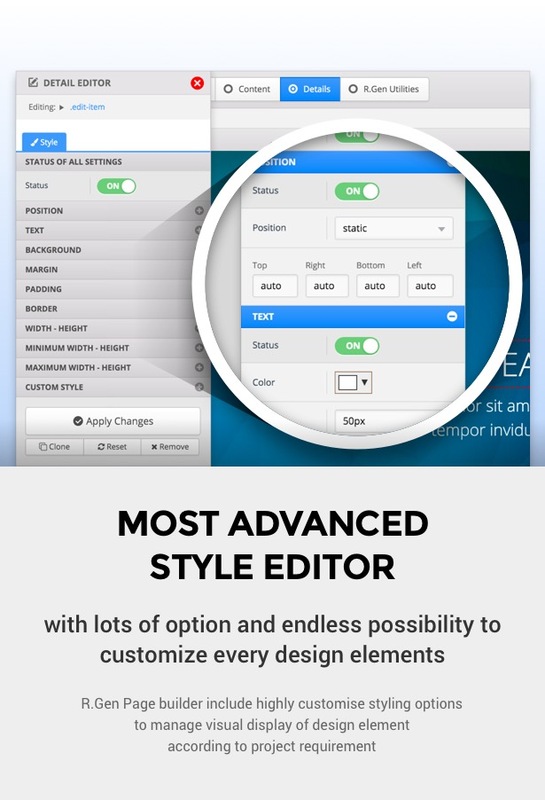 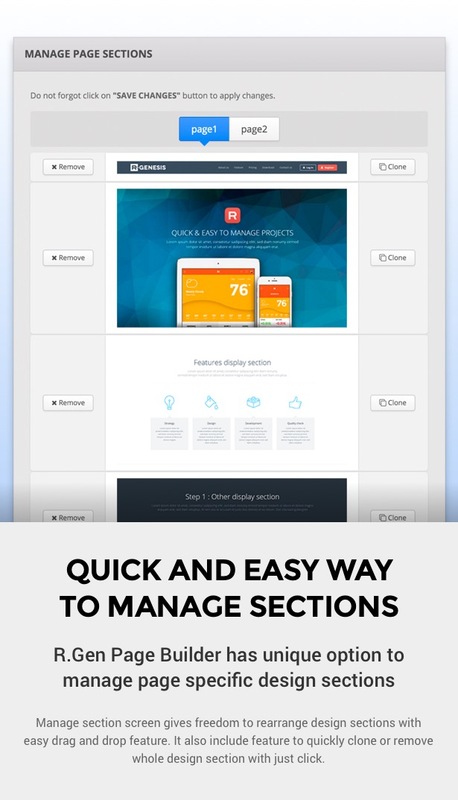 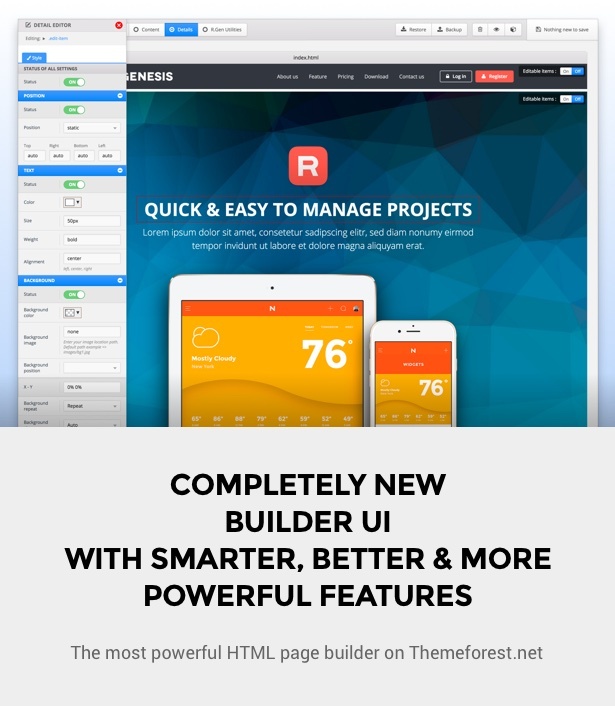 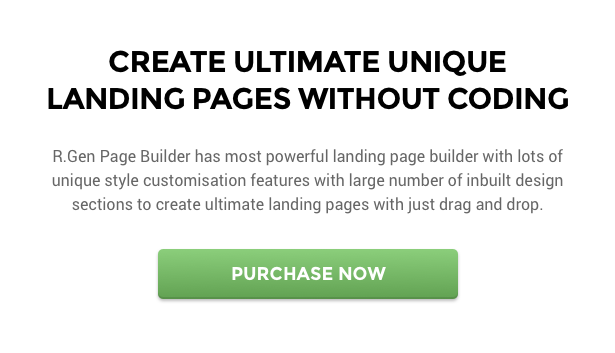  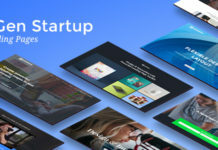 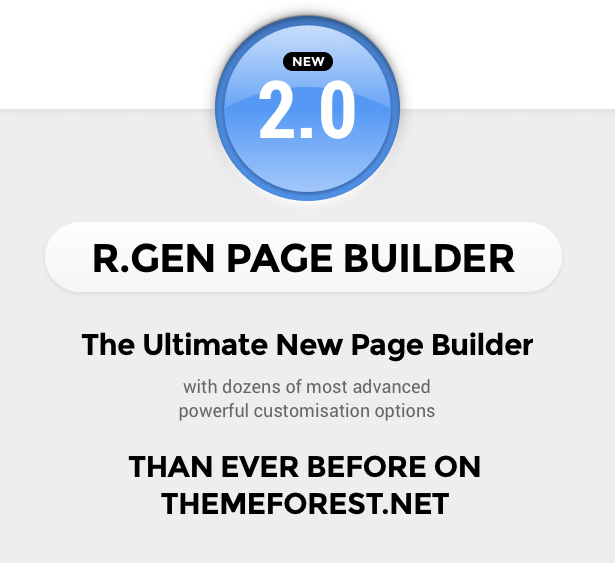 It is bundle which contain 260+ design section, 30+ Ready to use the landing page, Page builder and much more. 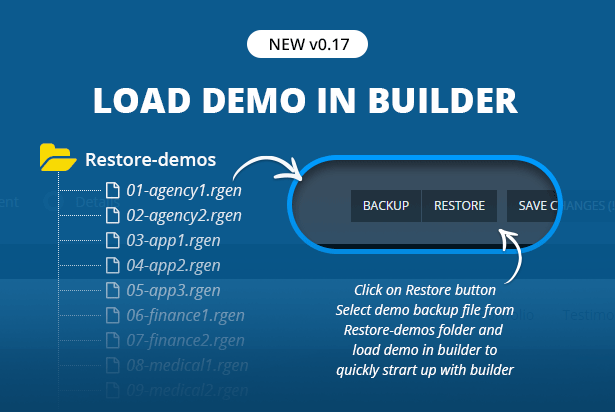 Probably RGen covering pretty much every industry. 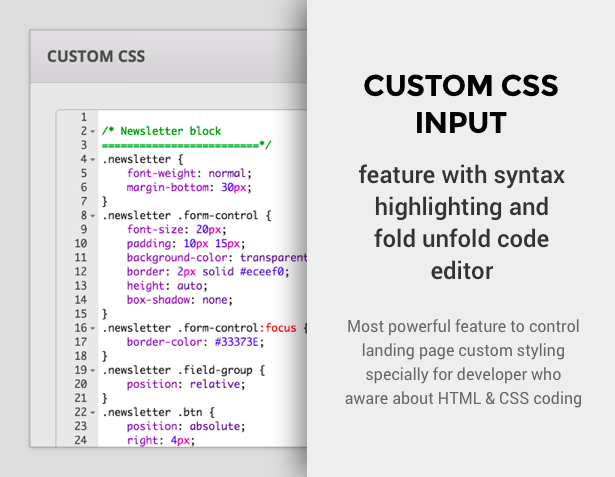 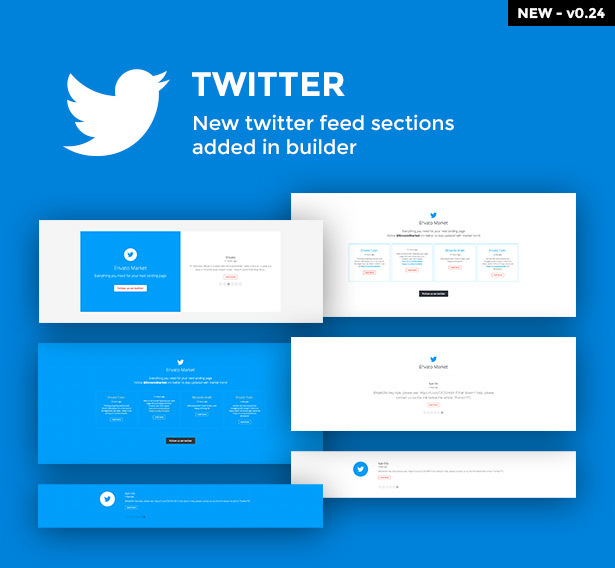 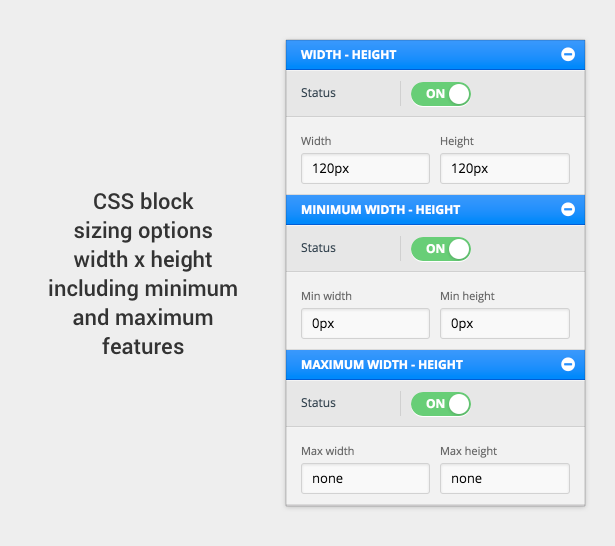 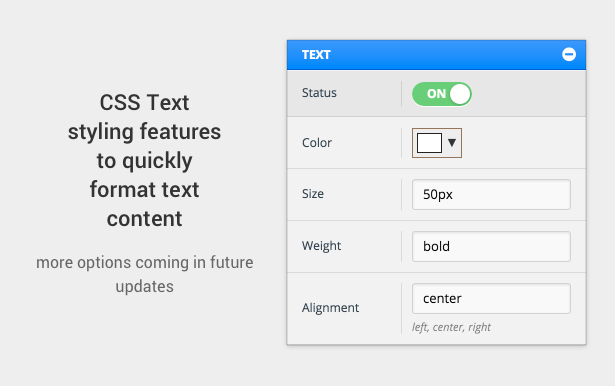 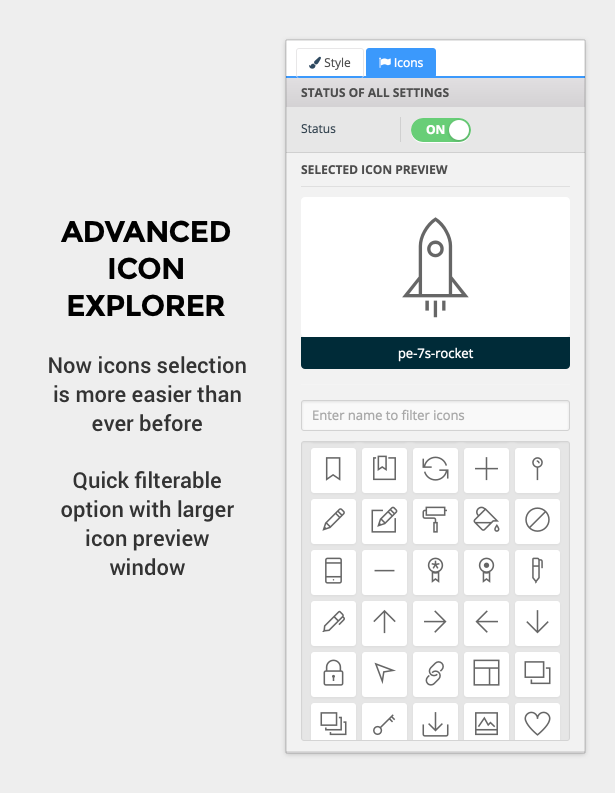 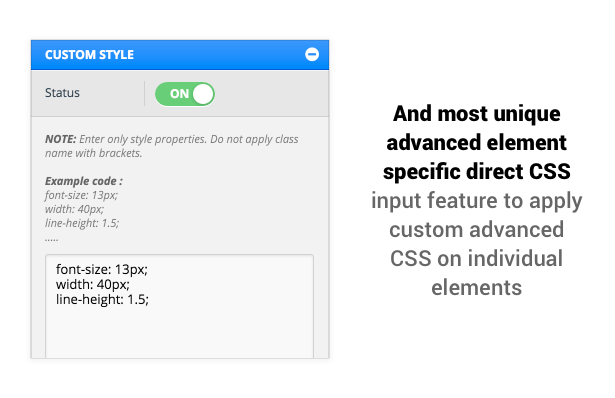 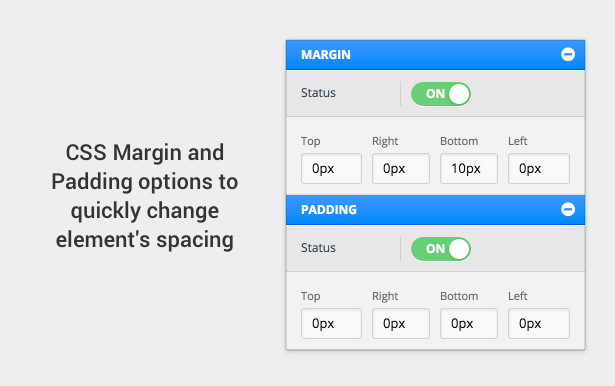 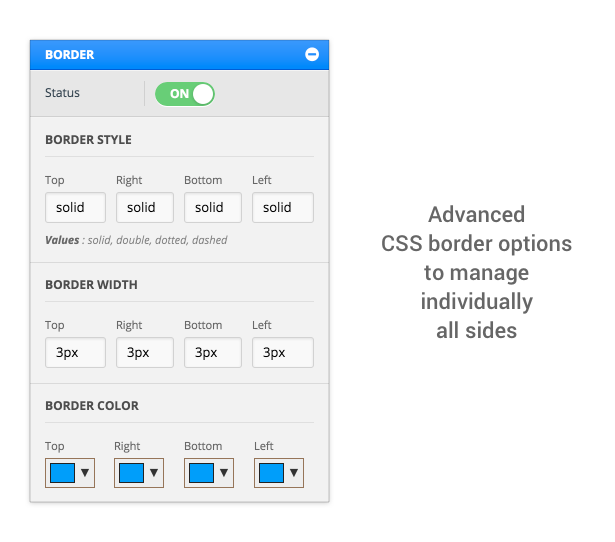 As a result, It is very flexible and fully responsive so it can fit on every screen. 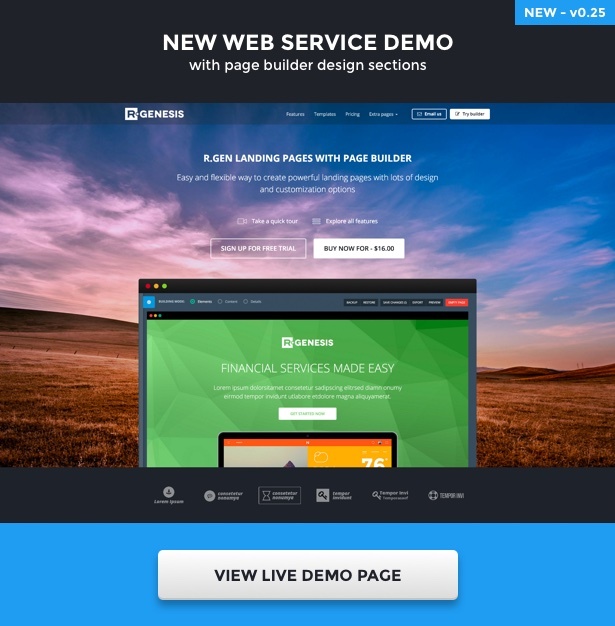 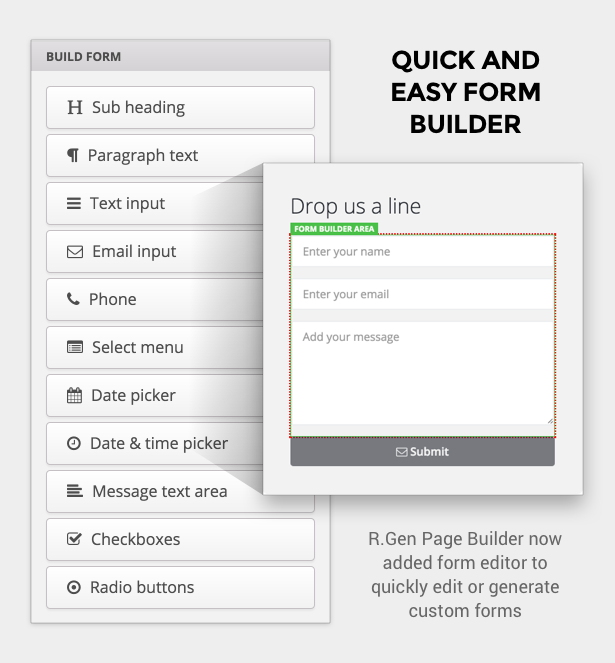 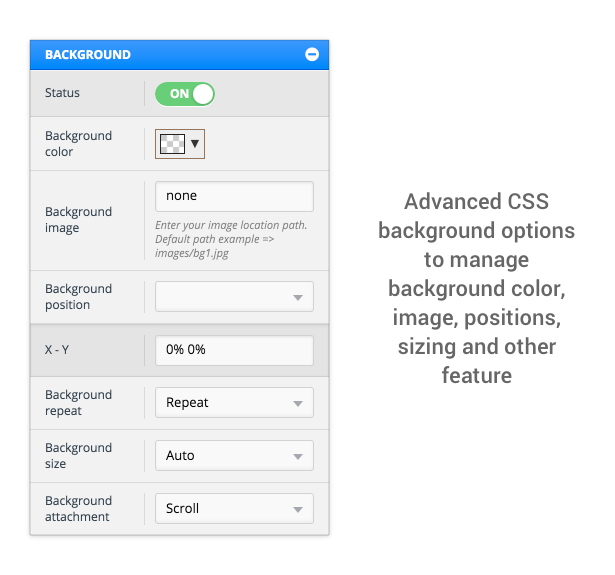 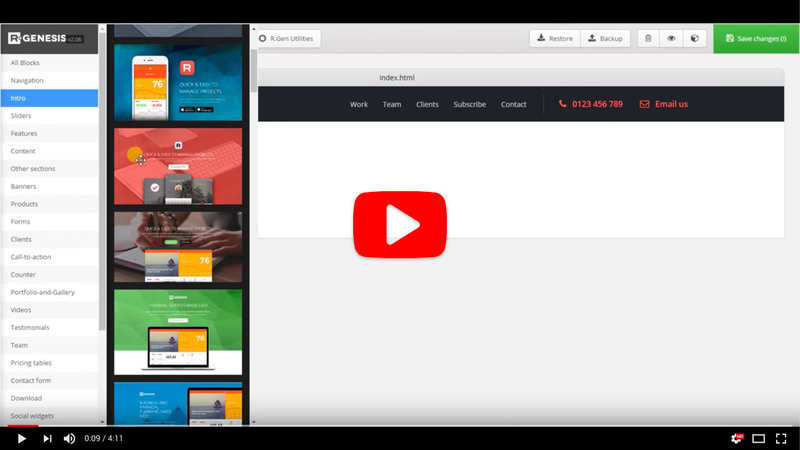 RGen Landing Page provides Page builder with powerful customization options with backup and restore functionality. 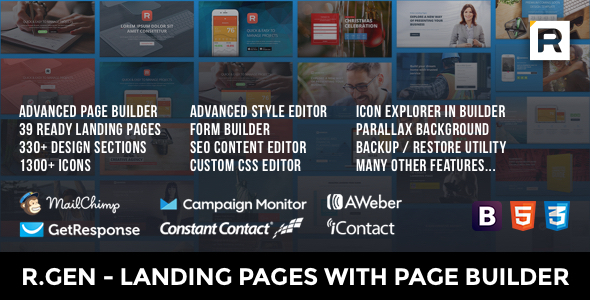 Moreover, RGen helps to create ultimate unique landing pages without coding. 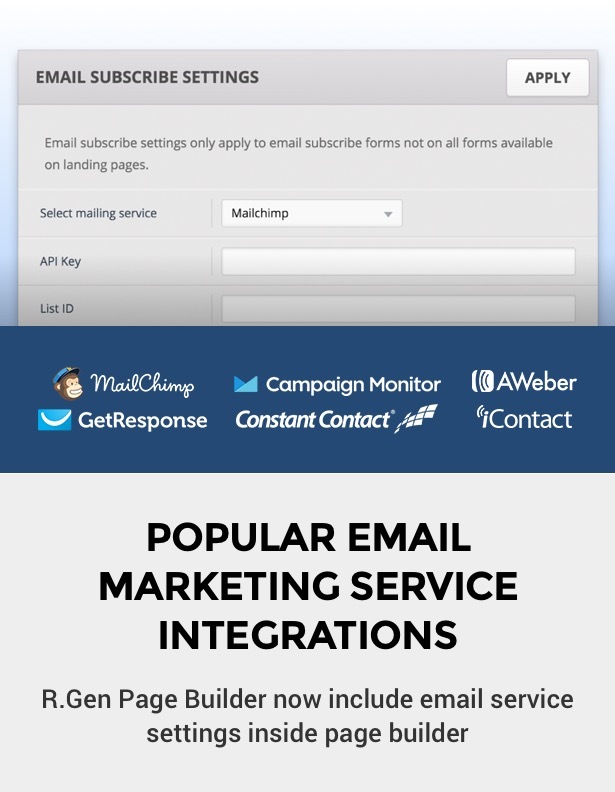 RGen provides various options for email marketing popular services integrations like MailChimp, Campaign Monitor, GetResponse and much more. 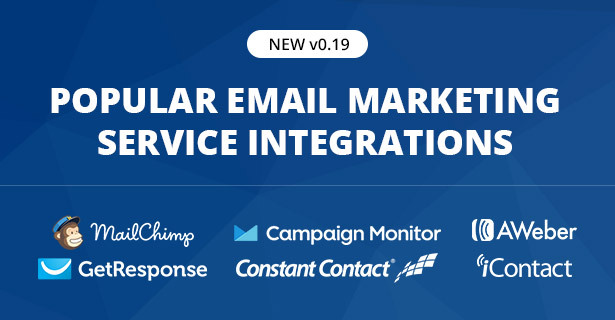 In addition, it makes email marketing services integration process very quick and easy. 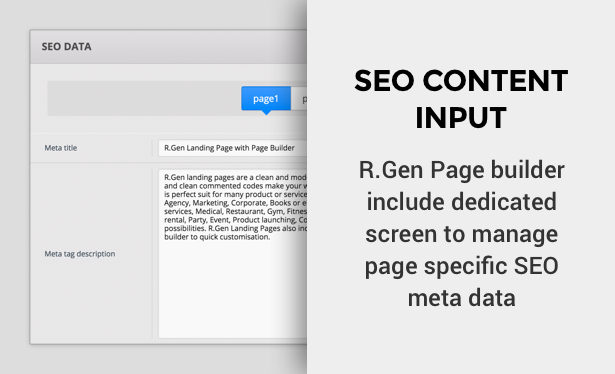 Many other key features listed below which attract towards of RGen Landing Page.